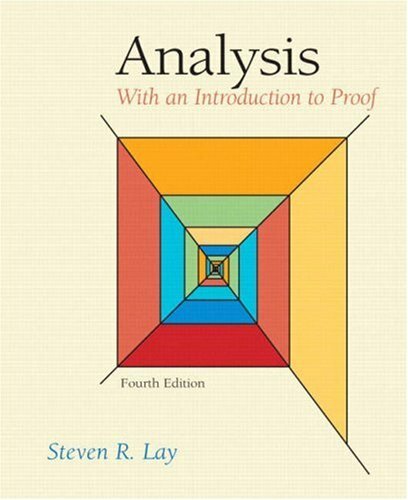 By introducing logic and by emphasizing the structure and nature of the arguments used, this book helps readers transition from computationally oriented mathematics to abstract mathematics with its emphasis on proofs. Uses clear expositions and examples, helpful practice problems, numerous drawings, and selected hints/answers. Offers a new boxed review of key terms after each section. Rewrites many exercises. Features more than 250 true/false questions. Includes more than 100 practice problems. Provides exceptionally high-quality drawings to illustrate key ideas. Provides numerous examples and more than 1,000 exercises. A thorough reference for readers who need to increase or brush up on their advanced mathematics skills.